A diabetic eye exam is an essential part of overall health and wellness checkups for people suffering from diabetes. 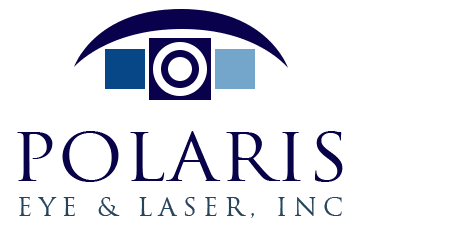 Dr. Jeehee Kim at Polaris Eye & Laser in Los Gatos, California has the experience and knowledge needed to help diabetic and pre-diabetic patients maintain the best vision possible. How Often Should People Suffering From Diabetes See the Eye Doctor? People who suffer from diabetes have an increased chance of developing many other illnesses, including serious eye problems. Diabetic eye disease is a fairly common problem among people with diabetes, but it can be treated as long as it is diagnosed early enough. People who are diagnosed with diabetes need to schedule an eye exam right away, and should then continue to have exams on a yearly basis. Diabetic patients who already have eye problems may need to have their eyes checked more often than that. Diabetes mellitus affects blood sugar, and sensitive blood vessels in the body. For the eye, blood vessels in the nerve cells in the back of the eye may be damaged, reducing the normal transmission of light signals to the brain. This diabetes-caused damage is known as diabetic retinopathy. Nonproliferative Diabetic Retinopathy is an early stage of this condition, usually present even before vision is affected. Diabetic retinopathy is a leading reason that people lose their vision in the United States. What Happens During a Diabetic Eye Exam? Diabetic eye exams typically begin with a test of visual acuity. This involves reading letters on an eye chart until they become too small to see. Other tests typically include an eye muscle movement test, a cover test to check how the eyes work in unison, and a test to measure pupil reaction to light. The cornea, iris, lens, and back part of the eyes are all checked using a biomicroscope. In a dilation eye exam, the pupils are dilated so that Dr. Kim can use an ophthalmoscope to get an inner view of the retina, blood vessels, vitreous fluid, and the top part of the optic nerve. If patients require eyeglasses or contact lenses for vision correction, the prescription will be determined by looking through a series of lenses and choosing the ones that allow for the clearest vision. 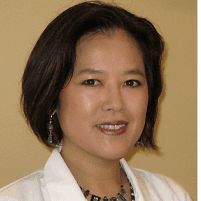 If diabetic eye disease is discovered during the eye exam, Dr. Kim will prescribe treatment based on the specific disease and the patient's symptoms. Sometimes diabetic retinopathy can be treated with anti-VEGF injections (Avastin) or laser treatment. Dr. Kim will customize treatment for diabetic patients so they can maintain good vision for the long term.